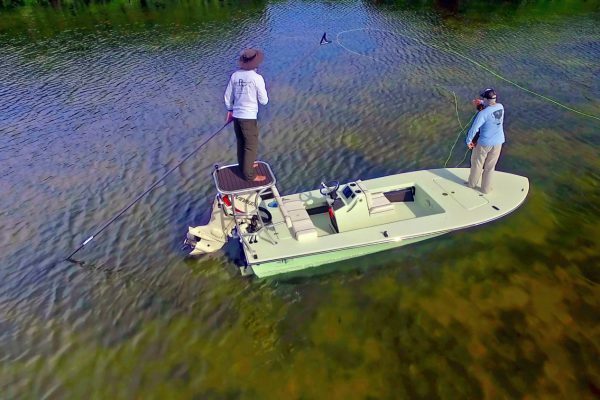 Beavertail Skiffs truly sets the bar when it comes to designing and building the most spectacular shallow water, technical poling skiffs on the market. Each skiff is built to the exact specifications of its owner, only after learning about you, how you fish and what your expectations are! The 16’8” Micro takes its DNA from the legendary Strike, one of the most popular technical poling skiffs on the market today, & distills it down to the purest fishing platform Beavertail has ever built. 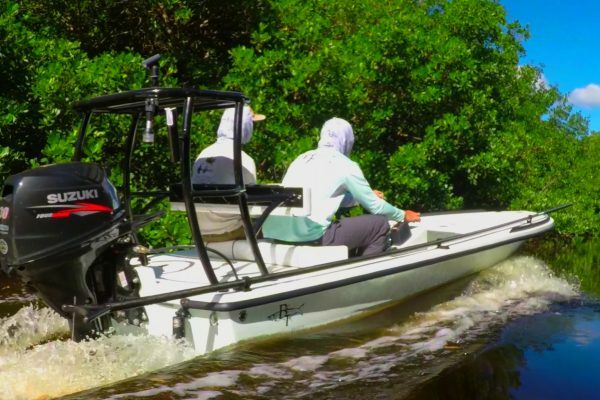 Beavertail Skiffs returns to its roots with the all new Mosquito. 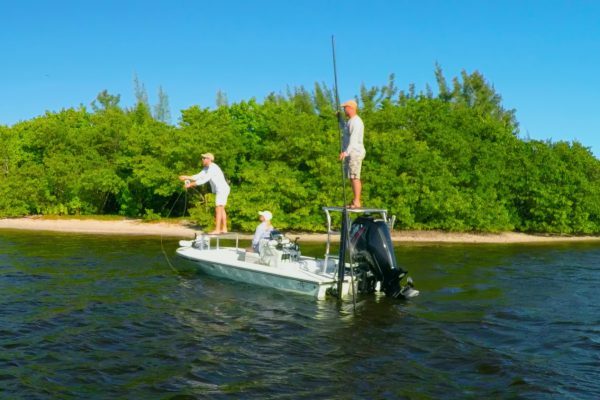 Starting with a clean sheet of paper, and plenty of input from our guides and owners, we re-imagined the technical poling skiff for today’s generation of anglers. 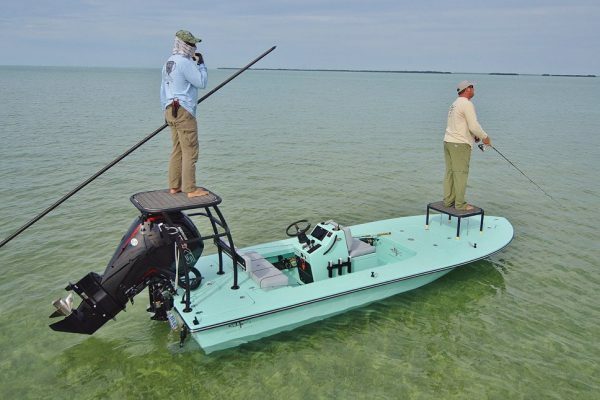 The Strike is the boat that shallow water anglers have been dreaming about and the best features of every Beavertail that has ever been built, have been brought together in this 17’6″, ultra-shallow, technical poling skiff. 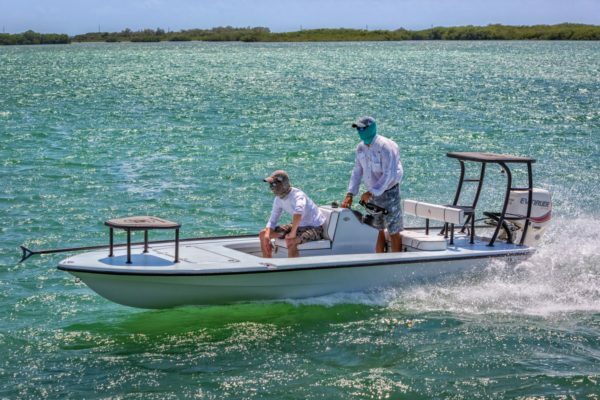 After much research and collaboration with the finest professional guides in the industry, we delivered a technical skiff which can deliver anglers to the fishing zone, silently stalk trophy fish and stand the test of time. The Vengeance was designed with families and the shallow water, live bait guide in mind. Rated for four passengers and with an 82″ beam and large cockpit – safety, stability and comfort are hallmarks of this shallow water skiff. Tournament anglers know that not all fishing takes place in a foot of water. In fact, getting to the fishing grounds on game day - quickly & safely can present its own challenges. Enter Beavertail's new line of BIG water flats boats, the Air & Lightning! 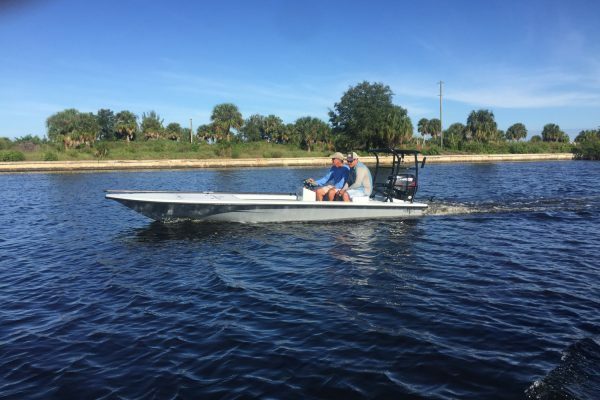 The newest flats boat in the Beavertail lineup, the Air was designed and built to handle the big water of open bays, yet still get shallow enough to access the flats where trophy fish live. 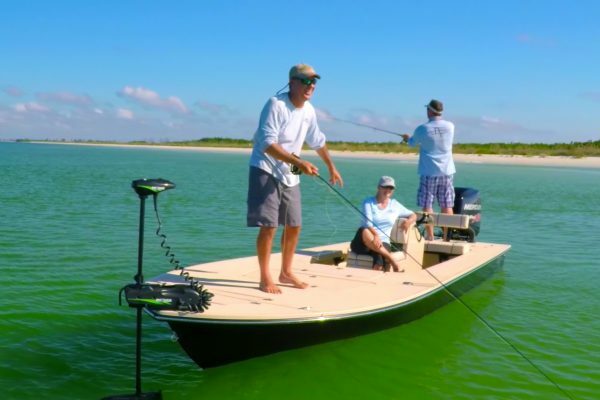 With true 360 degree fishability, the Air is the perfect fishing platform! The 20′ Beavertail Lightning is truly a game changer for the high horse power, high speed tournament angler. Rated for power up to 300hp, the Lightning will get you there faster and drier in even the roughest conditions.